Live Industrial , the exclusive Australian sales and service distributor for the Italian-manufactured ITATOOLS range of plastic and steel strapping tools, is impressing the steel strapping market with the ITA30 manual sealless steel strapping tool. Its ease of operation, as well as its light weight, makes the ITA30 manual sealless steel strapping tool an attractive option for manufacturing companies using steel strapping. It is powerful enough to be used in most strapping applications in a wide variety of industries. 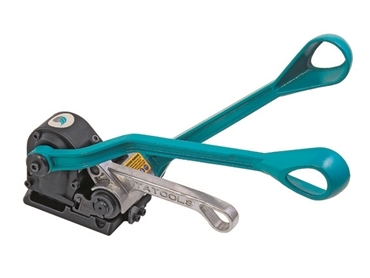 The ITA30 manual sealless steel strapping tool is also extremely easy to maintain. The ITA30 manual sealless steel strapping tool is designed to be operated with 13-19mm x 0.45-0.7mm standard steel strapping, and 0.45-0.63mm high tensile steel strapping. It weighs just 4.4kg, and is capable of pulling up to 5500N.